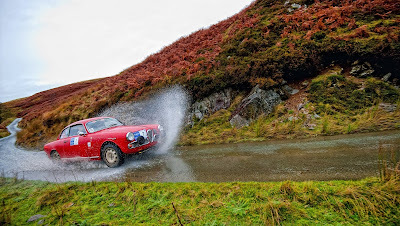 Paul Wignall and Mark Appleton claimed the first place of the Rally of the Tests in an 1959 Alfa Romeo Giulietta Sprint after taking over the lead in the final section from Jan Ebus and Iain Tullie’s 1964 Porsche 356. The event, which is organised by the Classic Rally Association (CRA), was the final round of the FIA Trophy for Historic Regularity Rallies and the fifth qualifying round of the HERO Cup, in association with EFG International. 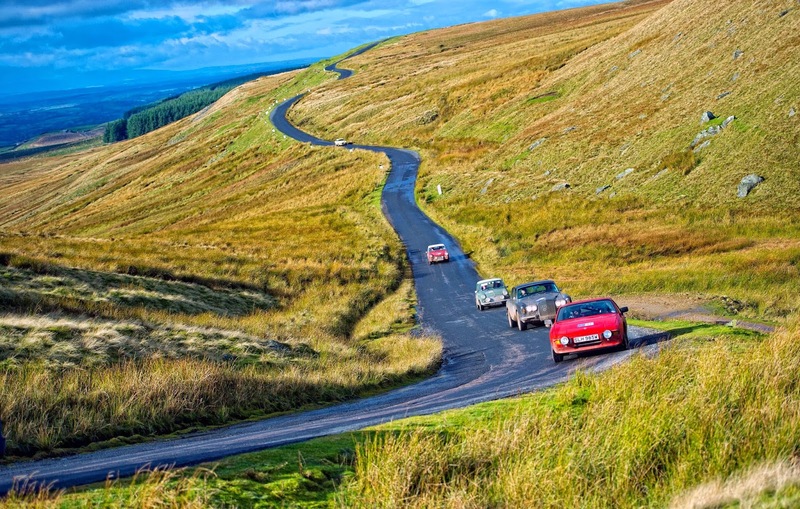 The 12th Rally of the Tests saw 81 classic cars set off from Chester on Thursday 31st October on a route that took them across North Wales, Lancashire and Cumbria, to finish in Harrogate, Yorkshire, on Sunday 3rd November – 69 made it across the finish line. This year was the fourth time that Paul Wignall and Mark Appleton have won the event. They didn’t have an easy run though and had to overcome electrical problems in their Alfa on the prologue and first day. However, they managed to recover and come first across the finish line at the Old Swan Hotel, in Harrogate, in front of a cheering crowd. Jan Ebus and Iain Tullie in their Porsche 356 led for much of the event but a few uncharacteristic mistakes in the final sections allowed the Alfa Romeo to take the lead. A slight consolation for Iain was that he received the trophy for the best “timekeeping” performance and was also confirmed as the top co-driver in the FIA Trophy for Regularity Rallies. Ryan Pickering and Andy Ballantyne completed the podium in their 1962 Triumph TR4. Ryan also received the trophy for setting the fastest times on the Driving Tests, which are the sections of the event that take place off the public highway. Next year the 13th running of the Rally of the Tests will run from Buxton to Bristol and have two nights at Llandrindod Wells. The next event and last qualifying round of the much coveted 2013 HERO Cup, in association with EFG International, is Le Jog, the toughest event of its kind in Europe. Le Jog will see drivers battling it out against UK’s fierce weather conditions on an epic 1,500 mile route between Land’s End and John O'Groats from December 7th to 10th. The Rally of the Tests can be seen on Motors TV, Europe's only television channel exclusively dedicated to motorsport, on Friday 27th December at 22:05hrs. In the UK, Motors TV can be seen on Sky (channel 413), Virgin Media (channel 545) and on Wight Cable (channel 38) in the Isle of Wight. The Historic Endurance Rallying Organisation (H.E.R.O.) is a classic car club recognised by the Royal Automobile Club Motor Sports Association (the MSA - the official governing body for motor sport in the UK, affiliated to the FIA) and, through its membership of the Federation of British Historic Vehicle Clubs, is affiliated to FIVA - the Fédération Internationale des Véhicules Anciens. A classic car endurance rallying club that dates over eighteen years, HERO has organized more than 90 events (trials and tours) especially for classic cars. HERO also offers a wide range of services such as the Arrive & Drive classic/rally car hire program, corporate and bespoke event planning and organisation, storage and transport logistic, a Premier Membership that offers discounts throughout its network of Partners; making it a truly integrated one stop shop platform. The CRA has now run in excess of 70 events, the vast majority of which have been run in mainland Europe. The events counting towards this year’s cup include the CRA’s Poppy Regularity Rally, Classic Marathon and Rally of the Tests as well as HERO’s London-Lisboa Classic Reliability rally, Throckmorton Challenge, and the Le Jog (Land’s End to John O’ Groats) reliability trial and tour.